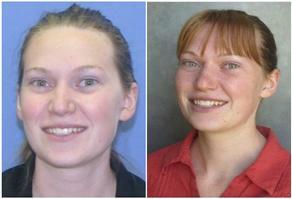 Missing Montana woman arrested in L.A.
(AP) HELENA, Mont. - A Helena woman who had been missing for three weeks was arrested in Los Angeles over the weekend. Helena Police Chief Troy McGee says 22-year-old Angelica Melody Gray was arrested Saturday on a Montana warrant alleging she violated her probation in a drug case by abandoning her two children at the YWCA, where they had been living. She was reported missing on Dec. 12. McGee says there was no indication Gray was being held against her will and as far as police know, she was trying to start a new life in California. A man who was seen traveling with Gray was arrested in California on Friday. McGee says 21-year-old James Alexander Lee is challenging his extradition to Montana for allegedly violating the conditions of his release on a drug charge.